„Untitled” is the title of this exhibition which inspired by most of paintings from Jhonny Leonardo Diaz are untitled. 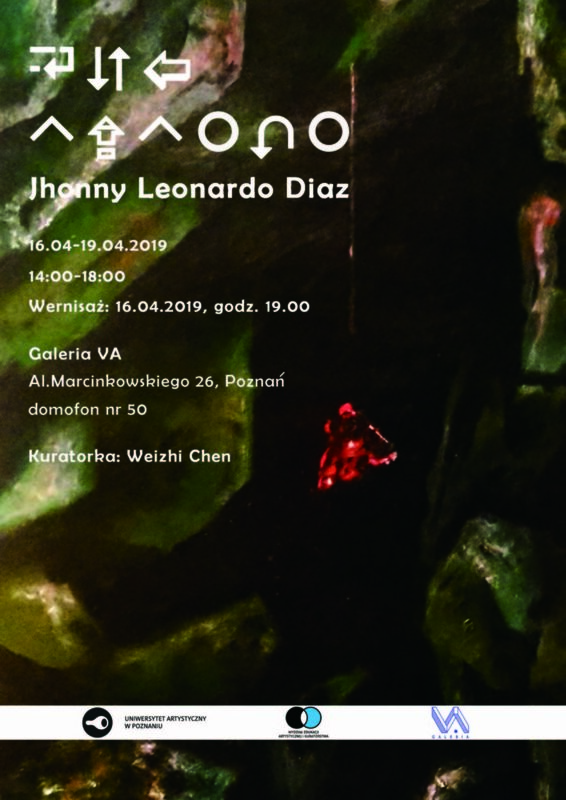 The artist –Jhonny Leonardo Diaz, came from a family of miners and he had worked in the mine before he studying in the University of Arts in Poznan. What will see when you are staying underground without any light? What will think when a simple stone is placed in front of you? What’s human made of, water, Cell or something else? The paintings from Jhonny might to tell you the answer for those questions. Let’s go into his world, his underground world.